34 Days Old, back when he loved his paci. 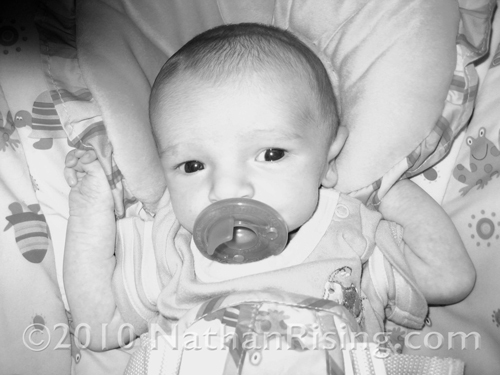 This entry was posted by Jen on February 26, 2010 at 9:58 pm, and is filed under All About Nathan. Follow any responses to this post through RSS 2.0.You can skip to the end and leave a response. Pinging is currently not allowed. Goodness, that paci looks so big…I know he was just small then. Wow, and now he’s crawling all over the place! .-= Suzicate´s last blog ..Information Overload And The Quilt Show =-.